The enhanced survival mode of Fallout 4 can be a very fun and very challenging experience but it has the potential to be very frustrating. Rather than present a complete guide and character build, this guide aims to lay down some principles, strategies and rules of thumb to get you started. 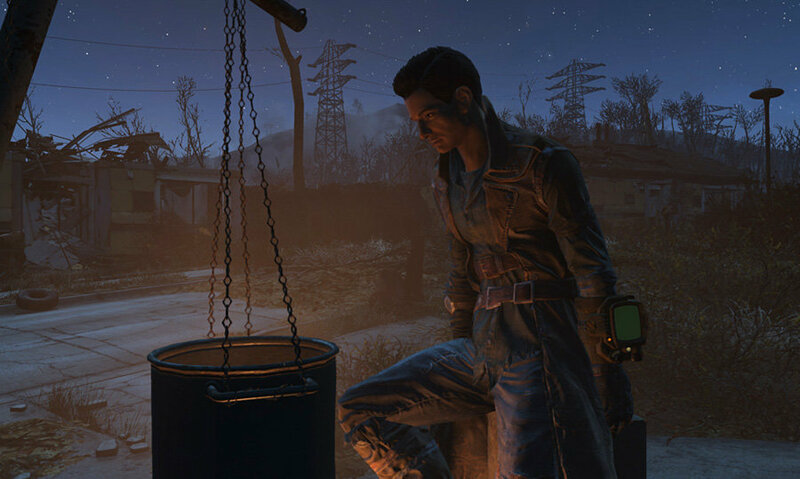 Keep reading to get the Fallout 4 Short Survival Guide. This guide has three parts: 1. defeating the enemy, 2. surviving the wastes and 3. weapon of choice. If you're in a hurry, feel free to skip right to the part that interests you. As this is more of a quick start guide, this article will focus on the first 20 levels after which you should have a well established character. The only viable weapon perks to be taking are Big Leagues (for a melee build), Gunslinger (for a V.A.T.S. build) and Rifleman (for the highest damage-per-shot sniper build). Automatic weapons in my opinion aren't a viable option for a survival build simply because of the poor damage per shot and inaccuracy of the weapon, a low level character will need to carry large amounts of ammunition (therefore increased weight) to sustain an automatic weapon. This article will focus on the sniper build to get the best economy of firepower aiming for highest damage per shot and the best accuracy, in order to conserve ammo. Engaging targets from range has a number of advantages in the Fallout world: engaging from a distance reduces the damage (or eliminates it entirely when engaging melee combatants) sustained in combat with the added benefit of placing your character outside the effective range of a grenade (until higher levels even Molotov's will prove lethal). The secondary benefit of long ranged combat being that when your character enters stealth mode you will gain the benefit of a sneak attack (without the need of stealth perks or equipment) and should your first shot connect and prove lethal, you're unlikely to other hostiles. Finally and most importantly, rifles have the best logistics of any other weapon; almost any weapon in the game can be converted into a “non-automatic” rifle (be it lever action, bolt action, single shot breach loading, muzzle loading or semi auto). All it needs is a non-automatic receiver and a rifle grip. Maximising the Rifleman perk as soon as possible will ensure your character can defeat any threat as quickly as possible from a safe distance. If the idea of building settlements in Fallout 4 upsets or angers you, I suggest you skip to part 3. But before you do, take a few levels in “Lead Belly” and “Cannibal” and you'll never starve. The most valuable commodity for a survival playthrough is... purified water. The best way to obtain purified water is to bottle it yourself using a pump at your settlement (using any empty bottles) or to refill using any body of water in the waste and then convert the dirty water into purified using a cooking station. Water purifiers are useful but less crucial; they generate purified water over time which isn't really useful for a character dying of dehydration, is it? The Commonwealth is fairly easy to travel provided you have access to the right materials. In order to survive the wastes your character will need to drink, eat, sleep and take medication (not chems). Hydration is the primary concern for your character as most healing items increase your rate of dehydration (mainly stimpaks and when you take RadAway you'll wish you hadn't). Food is easy enough to find but unless you cook it, expect to receive a hit of radiation and a possible disease. Finally sleep deprivation will drastically reduces your action points and slowly immobilise you as it gets worse. The best way to counter these ailments and stay on top of your health is to have a good base camp. Most camps will require few NPC settlers for either trade (merchants) or produce, to help keep settlements manageable. Disable or remove all the recruitment beacons except for one or two primary locations (note that “paving the way” minutemen radial quests require you to build a beacon you can scrap it or store it immediately after placing it without affecting the quest). This means you only have one or two settlement population to manage at locations of your choosing and should you wish to expand to other settlements, simply instruct a number of settlers to move from the primary settlement to the new settlement. This way you're not constantly walking back and forth across the wastes managing trying to keep up food, defences and bedding for number of growing populations. To get the most out of your settlement you'll need 2 ranks in “Local Leader” and at least 1 rank in “Cap Collector” and “Medic”. The Cap Collector perk is optional but the Medic perk is necessary for building a Medic. The Medic can cure all ailments for a fee with no side effects, paying caps to cure ailments is much more effective than attempting to treat sickness and injuring with first aid, as all chems and aids items have side effects. All that's left now is to kit out a workshop. 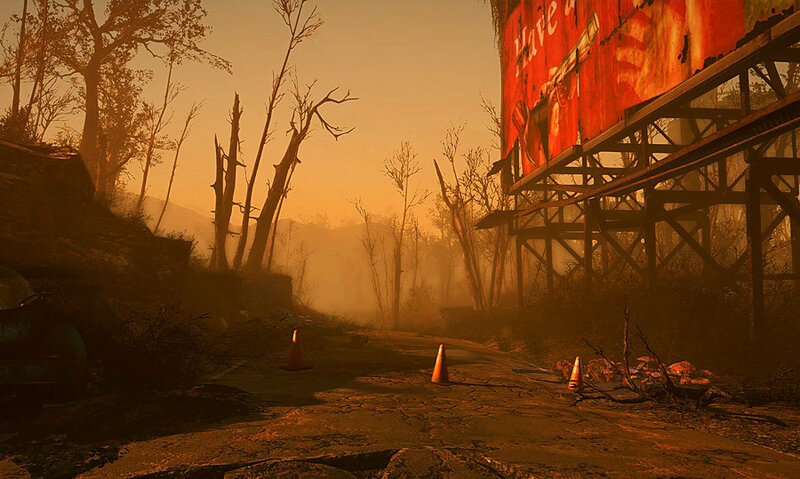 You'll find, store and carry around countless firearms in Fallout 4. In survival you'll realistically only be able to maintain two primary weapons and their ammo, so it's important that these primary weapons are functional. The sniper build is by far the safest and most practical way to thrive in survival mode, so this section will assume the character has taken levels in the “Rifleman” perk. For simplicity, we'll refine weapons into two categories; weapons to be used with VATS and weapons to be operated by the player (weapons designed for hip fire are typically effective VATS guns as well). VATS guns are typically lightweight, short range, low damage but quick firing. The philosophy of a VATS gun design is to maximise DPM. The following mods minimise the AP cost for firing a weapon in VATS meaning you can get the most damage out of your AP. Light, Calibrated or Powerful Calibrated Receivers (Semi Auto or Bolt Action). Short, Short Light, Short Fluted or Short Ported Barrels. Iron Sights, Glowing Iron Sights, Ring Sights, Reflex sights or Short Scopes. Small or Small Quick Eject Magazines. For firearms that you'll be manually operating the design philosophy is more flexible and revolves around your play style. The following are more suggestions and considerations to keep in mind when modding your weaponry. Long Range Optics on bolt action rifles or Laser Muskets, Weaponry with long reloads or low rates of fire are safest to use from a distance. Suppressors should be on all your rifles particularly the semi-auto rifles. The recoil suppression and the stealth function make quickly dispatching individual enemies much easier. Reflex sights have poor “down-the-sights” accuracy past 25-40 yards depending on the rifle and makes precision fire difficult and frustrating when well aimed shots miss consistently. Short scopes offer far greater accuracy and target acquisition; when combined with short light barrels and stocks are very effective at short range hip fire. Energy Weapons as a rule of thumb have a better weight to damage ratio. Energy weapons often hit harder for anywhere between on half up to a third of the weight of their ballistic equivalents. Short Laser rifles make excellent scout and scavenge guns as their light weight opens up more carrying capacity for junk and equipment. I hope you enjoyed this Short Fallout 4 Survival Guide. Without going into fine details and a methodical step by step locations guide, this should get you started and on your way to a less frustrating and hopefully more productive survival playthrough. Thanks for reading!